The goal of PTSD Awareness Day is to spread awareness about PTSD symptoms and effects, as well as advance the discussion about diagnosis, treatment, and care for those suffering from the effects of trauma. Join us in observing PTSD Awareness Month. 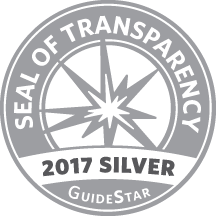 Each year, the U.S. Department of Veterans Affairs and organizations across the United States raise awareness about Post-Traumatic Stress Disorder. 8th Annual Traumatic Brain Injury Conference – May 16-17, 2018 in Washington, D.C.
Cohen Veterans Bioscience CEO & President Dr. Magali Haas is participating in a panel discussion at the 8th Annual Traumatic Brain Injury Conference, May 16-17, 2018 in Washington, D.C. While serving as a combat medic in Iraq, John E. Cebak experienced the trauma both of taking enemy lives and attempting to save his wounded comrades. When his tank overturned in a drainage ditch, nearly drowning him, he received a head injury and returned home. 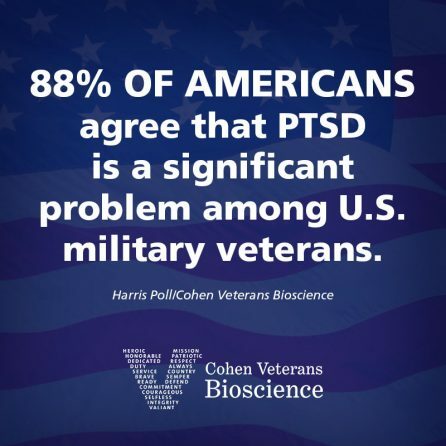 Cohen Veterans Bioscience today announced results of a Harris Poll survey of over 2000 respondents revealing that nearly 9 in 10 Americans (88%) agree that post-traumatic stress disorder (PTSD) is a significant problem among U.S. military veterans.